A pioneering Tejano who fought discrimination faced by Mexican-Americans during the battle of Texas Independence. Tejano leader José Antonio Navarro lived under five of Texas’s six flags. Born in 1795 to a prominent family in San Antonio, Navarro grew up along with the city. 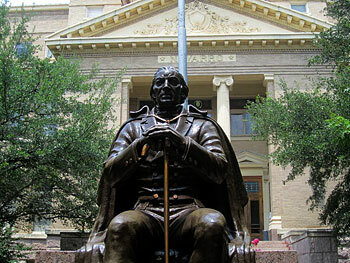 In the 1820s, he championed Stephen F. Austin’s colonization efforts. At the time, both Anglo-American immigrants and Tejano residents wanted increased settlement in Texas for economic development and frontier defense. When trouble arose between the Texans and Mexico’s government, Navarro was one of two Tejanos to sign the Texas Declaration of Independence in 1836. 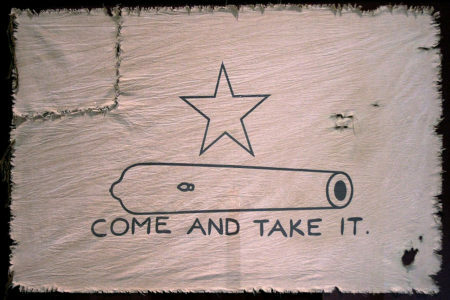 However, many of the newly arrived Anglo Texans discriminated against Texans of Mexican origin. Some Tejano veterans of the revolution moved away. But Navarro stayed, defending Tejano rights. In 1841, Navarro joined the ill-conceived Santa Fe Expedition, which attempted to join New Mexico to Texas. 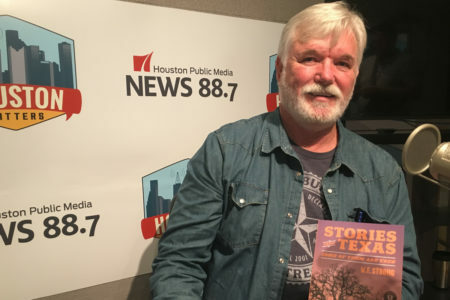 He was imprisoned in Mexico for nearly four years as a result, but returned to support Texas’s annexation to the United States. A delegate to the Constitutional Convention of 1845, Navarro helped defeat a proposal designed to deprive Tejanos of the right to vote. The secession crisis again tested Navarro’s politics. He was torn between unionist sentiment and states’ rights principles but survived the crisis with his commitment to Texas intact. After the Civil War, Navarro retired from public life and became a respected elder statesman. He died in 1871. Statue of Jose Antonio Navarro, Corsicana, TX. Casa Navarro State Historic Site: Built in the mid-nineteenth century, this group of whitewashed adobe and limestone buildings in downtown San Antonio served as Navarro’s home from the 1850s until his death in 1871. Restored and opened to the public in 1964, this Texas Historical Commission site not only explores the significance of this leading Tejano figure, but also gives the visitor a glimpse of life in early San Antonio. Crisp, James E. “José Antonio Navarro: The Problem of Tejano Powerlessness.” In Tejano Leadership in Mexican and Revolutionary Texas. Ed. Jesus F. de la Teja. College Station: Texas A&M University Press, 2010. McDonald, David R. José Antonio Navarro: In Search of the American Dream in Nineteenth-Century Texas. Denton: Texas State Historical Association, 2010. McDonald, David R. and Timothy Matovina, eds. Defending Mexican Valor in Texas: José Antonio Navarro’s Historical Writings, 1853–1857. Austin: State House Press, 1995. “Navarro, José Antonio.” Handbook of Texas Online. www.tshaonline.org. Reséndez, Andrés, ed. A Texas Patriot on Trial in Mexico: José Antonio Navarro and the Texan Santa Fe Expedition. Dallas: William P. Clements Center for Southwest Studies of Southern Methodist University, 2005.